A blog post about video games may seem a curious addition to a grandparents journal like Ask Granny (https://www.askgranny.com), at least if they are being talked about as something for the grandparent rather than the grandson. It’s fair to say that video games have not always attracted the best news headlines, with much controversy surrounding the supposed glorification of violence and cruelty by certain games. However, that’s for another debate – and in any case, video games need be no more controversial than films or any other popular media. After all, if you think back to the last time you played a video game (if, indeed, you ever have done such a thing), it was probably something as innocuous as the arcade version of Sega Rally in the local amusement arcade, or even a brief go at a platform game on a relative’s PlayStation. But let’s get back to the basics. A PlayStation is an example of a games console, and these have been revolutionary in recent decades in bringing high-definition gaming away from the aforementioned amusement arcade, and into the home. As part of each game, along with sounds, moving images are generated and displayed on a screen, normally a television. 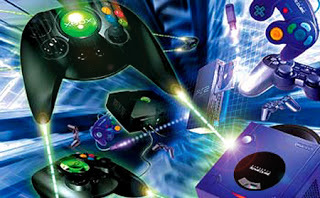 Such images and sounds can be manipulated with a handheld device connected to the console typically known as a controller, although you might have also used a joystick for playing various games. And really, those are the basics. You insert a given game into the console – often in disc form, with cartridges having been popular in the past and direct downloading from the Internet becoming more widespread these days. Then, it’s just a case of sitting back, controller in hand, and awaiting the fun that can be produced by one of the most popular grandchildren’s toys that also has a certain amount of adult appeal. If the console that you are using is not one of the simpler ones that merely have a fixed selection of built-in games, then you will have a decent range of games to choose from – whether from your grandchild’s collection, that built up by yourself, a high street shop or online. There are so many video game genres to peruse, including action games, adventure games, role-playing games, strategy games, driving games and so many more. If you are ever in doubt, simply pick up a relevant games magazine – but also bear in mind the age ratings of games that you buy, especially if they are intended as gifts for grandchildren. Having once been the preserve of the stereotypical spotty teenager in his bedroom, video games are now a massive industry giving Hollywood something to worry about. From Pac-Man and Halo to Super Mario Bros. and Gran Turismo, there are so many instantly recognisable and iconic game titles and franchises. As an open-minded and young-at-heart reader of the Ask Granny (https://www.askgranny.com) grandparents guide, you may well fancy trying a few of them yourself! 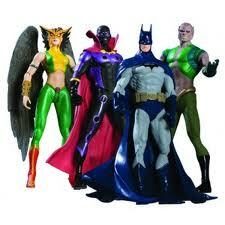 Action Figures for Kids: Forever Christmas Gift Favourites. December 2, 2012 juliet Comments Off on Action Figures for Kids: Forever Christmas Gift Favourites.